Like the Energizer Bunny, the Beach Boys just keep going and going. 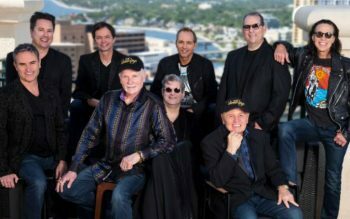 On August 4, the Beach Boys will bring their surf music and California beach vibe to the area for a pair of shows at the American Music Theater (2425 Lincoln Highway, Lancaster, www.amtshows.com). Obviously, any band that has been around for more than 55 years rarely still has its original lineup. The first line-up change came in 1983 with the accidental death of drummer Dennis Wilson. The original group featured the Wilson brothers – Brian, Carl and Dennis – along with their cousin Mike Love and their friend Al Jardine. Carl Wilson passed away in 1998 after a bout with lung cancer. The current line-up of the Beach Boys is led by Love and Bruce Johnston, who has been with the band since the mid-1960s. The group also features musical director Scott Totten, Jeffrey Foskett, Christian Love, Tim Bonhomme, John Cowsill, and Keith Hubacher. The Beach Boys continue to perform over 150 dates per year worldwide. Brian Wilson tours with his own large group while Jardine frequently is on the road with his own group. The Beach Boys definitely rode their own wave and became the writers of the soundtrack for the surfing generation. The titles of four of their first seven singles underscore just how much surfing infiltrated their music — “Surfin’”, “Surfin’ Safari”, “Surfin’ USA” and “Surfer Girl”. Over the years, the Beach Boys continued to churn out hit singles – most of which dealt with life in California, growing up near the beach, teen angst and learning about love. A few days ago, the Beach Boys gathered in Capitol Records’ Studio A in Hollywood for a SiriusXM Town Hall. They came together to announce the debut of their SiriusXM channel and the release of the album, “The Beach Boys With the Royal Philharmonic Orchestra, which was released in June this year. When Wilson, Love, Jardine, Johnston and David Marks got together at Capitol last Monday, the focus of the interview, which was moderated by director Rob Reiner, was the Sirius show and the album by the Royal Philharmonic Orchestra. “Rob Reiner had them play three songs from the album – including ‘Fun, Fun, Fun’,”,said Love. The album pairs The Beach Boys’ original vocal performances with new symphonic arrangements, newly recorded by the Royal Philharmonic Orchestra at Abbey Road Studios. Love recently published a New York Times best-selling memoir. In November 2017, he released “Unleash the Love,” an album featuring 13 previously unreleased recordings and 14 reinterpretations of Beach Boys’ classics. “In our live show now, we do all the hits and a few songs from my new album,” said Love. “The new songs go over really well in concert. Even though Love has sung many of these songs in concert for more than a half-century, he doesn’t get tired of doing it. “Singing the songs over and over again is never a problem,” said Love. “Sometimes when we play to casino crowds who are there because of free tickets, we get a tough reception. That’s why we don’t usually play casinos. Video link for the Beach Boys – https://youtu.be/lD4sxxoJGkA. The shows at the American Music Theater will start at 2:30 and 7:30 p.m. Tickets are $70. Another artist performing in the area on August 4 will be playing songs that were popular a half-century ago – but they aren’t her original songs. On Saturday night, the Sellersville Theater (24 West Temple Avenue, Sellersville, 215-257-5808, www.st94.com) will host a show by Nellie McKay. McKay, who celebrated her 36th birthday earlier this year, is touring in support of her new album “Sister Orchid” – an album filled with songs that were popular long before she was born. The album includes timeless gems such as “Willow Weep for Me,” which was first recorded in 1932 by the Paul Whiteman Orchestra and later was a hit for Billie Holiday in the mid-1950s; “Georgia on My Mind,” a Hoagy Carmichael song from 1930 that was a hit for Ray Charles in 1960; and “In a Sentimental Mood,” which was penned and performed by Duke Ellington in 1935. McKay will bring these songs to life when she performs them onstage in Sellersville. On McKay’s website, “Sister Orchid,” which was released on May 18 on Palmetto Records, had this description – “Conjuring the image of a lonely all-night truck stop along highway 1 on the California coast, all but lost in the fog that comes creeping along the shoreline…this album speaks of the night, the outsider, the plaintive wail of those lost at sea. The album is definitely an emotional experience – for McKay and for the listeners. “It took me a long time to make this album,” said McKay, during a recent phone interview. “I’ve known some of these songs since I was little. All of them are standards. The album features McKay on vocals with just piano accompaniment. “I recorded it last summer in Pennsylvania and New York,” said McKay. “The song list was large. We had about 40 songs and then whittled it down. Everything had something going forward. When she was getting started, McKay’s music bridged the gap between jazz and hip-hop — a combination not often heard in today’s pop music. McKay was born in London and raised in New York, the Pacific Northwest and Pennsylvania’s Pocono Manor. When she was still in her teens, she was living in her own apartment in New York — at the edge of Harlem at 123rd and Amsterdam. 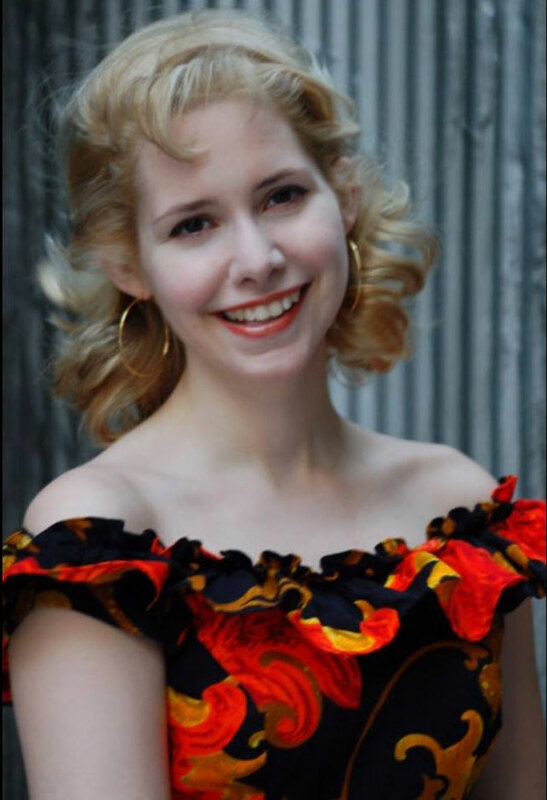 McKay, who attended school at Pocono Mountain Junior and Senior High, learned to play a variety of instruments including piano, cello, timpani, vibes, triangle and saxophone. Her main concentration has always been on keyboards. Eventually, McKay began playing gigs at New York piano bars such as Don’t Tell Mama’s, Stonewall Bistro, Psychic Cafe, Regents, Rose’s Turn, and Mozart Café (where she was canned because she liked to play Christmas songs in August when people weren’t sick of them). A record deal with Columbia followed and the rest is history. On Broadway, she won a Theatre World Award for her portrayal of Polly Peachum in “The Threepenny Opera.” She also co-created and starred in the award-winning off-Broadway hit “Old Hats,” and has written and produced musical biographies around a compelling gallery of ladies – from environmental pioneer Rachel Carson to the life, conviction, and execution at San Quentin of underdog Barbara Graham. Recent projects include “The Big Molinsky – Considering Joan Rivers,” and “A GIRL NAMED BILL – The Life and Times of Billy Tipton,” which was named one of the “Best Concerts of the Year” by The New York Times. In the television world, her music has been heard on “Mad Men,” “Boardwalk Empire,” “Weeds,” “Grey’s Anatomy,” “NCIS,” “Nurse Jackie,” and “SMILF.” Additionally, McKay’s writing has appeared in The Onion, Interview, and The New York Times Book Review. McKay also has devoted much of her life to projects combating animal abuse. She is a recipient of PETA’s Humanitarian Award and The Humane Society’s Doris Day Music Award in recognition of her dedication to animal rights. Video link for Nellie McKay – https://youtu.be/hU446HDtGv8. The show at the Sellersville Theater, which has Rich Jenkins as the opener, will start at 8 p.m. Tickets are $25 and $39.50. Other upcoming shows at the comfortable venue in Sellersville are Patrick Moraz on August 5, and Hayes Carll on August 6.